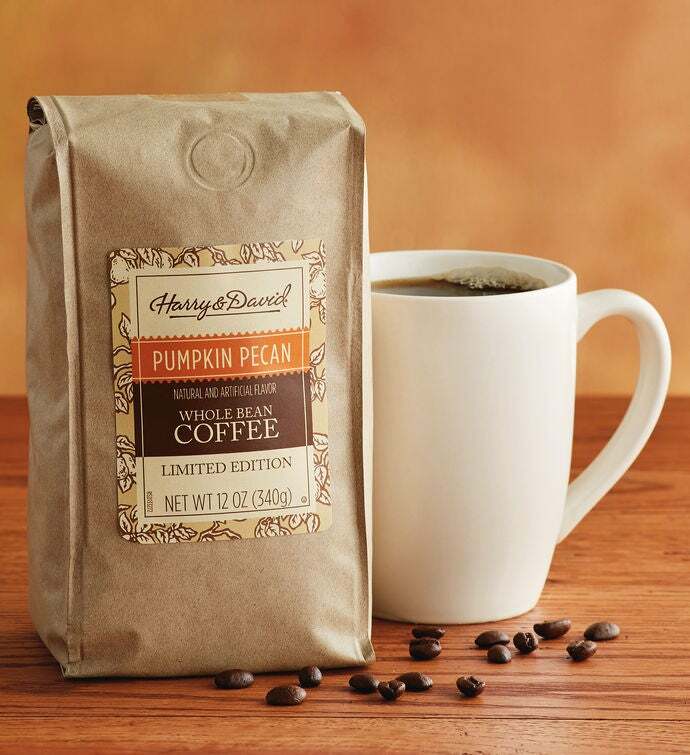 For those who prefer to buy coffee online, Harry & David has distilled the flavors of fall into a warm, seasonal blend. This tasty flavored coffee gift, bearing accents of pumpkin spice and nutty pecan, evokes the delightful experience of eating a slice of homemade pumpkin pie. Complete the experience by adding a little cream.